Have you ever found yourself waiting for a call back after your interview, confident that your resume was great and you had a great connection with the employer, yet you are not the one getting hired. A lot of highly qualified people never hear back from employers, not because they are lacking skills, but because their fear of failure gets in their way. If the situation feels familiar, Career Coach can boost the confidence you’re missing to break into the job market. Career coaching is the process of giving guidance and advice on career opportunities. The role of a career coach is to work with people in order to help them take advantage of their skills, get confident, make a great impression during an interview or break into job market. A great career coach will help you identify your strengths and work with them. Career coach will guide and counsel you throughout your job search. In addition to that, a career coach will bring you a different perspective and outlook to help you step back and look at the overall picture when it comes to your career. Career coach gives you professional help, recommendations and advice. Why should you turn to Career Coach while job hunting? While having been on a job search for a while already, you can find yourself getting lost in the process. You start losing motivation and you end up feeling stuck. A career coach can help you make the right decisions by asking you the right questions. For instance, if your number one priority is getting home at 6pm daily, the first question to ask yourself before taking a new job should be “Is my work schedule in accordance with my ideal working time?”. The role of a career coach is not to make choices for you, but to help you make your own – and the right ones. However, a career coach is not a wizard, and in the end it is you, who can find solutions to problems and answers to your questions. The role of a career coach is to guide you along the way. Additionally, a career coach can help you get more confident, and overcome fears that you might be carrying. It is often a fear of failure or disappointment that holds us back from progressing in our career. The coach will help you acknowledge your flaws, in order to identify why you haven’t got a job yet and help you assess your talents. Once you are aware of your skills, it is equally important to learn how to sell them, especially during a job interview. You have to learn how to sell yourself to a potential employer in order to make yourself desirable employee. How to find a career coach? There are many career coaches out there and it’s important to choose the best one for you. Before you decide to take a coach, ask yourself why you need it: Do you need guidance choosing your career path? Do you need help with polishing your self-selling skills? 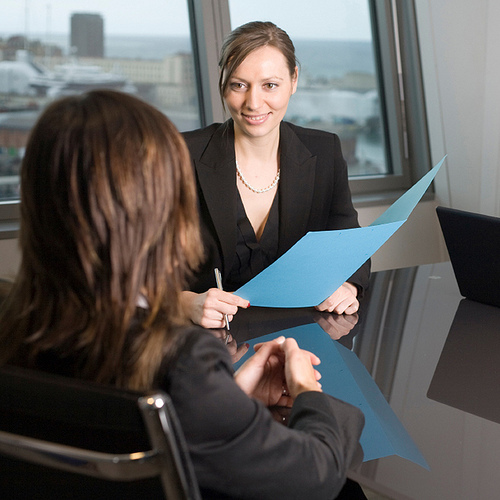 Have you been successful getting on interviews but no further? Are you having trouble quiting your job and moving on? We often have preconceived ideas about what we ought to do professionally, ingrained in our minds after friends or relatives have told us what they think we should do. But remember that your career is your own and only you can make your decisions. How can I measure the credibility and work experience of a career coach? While choosing your coach, consider coaches you have been recommended by others or look for testimonials online. Other people’s experiences are important because they give you insight into how the coach handles situations that are similar to yours. Set up the first session for free as this is a great opportunity to get to know your coach. Do you feel comfortable while speaking? Does she have a structure while asking questions from you? Do you feel motivated and inspired after your session? During this first meeting, you can ask the career coach about her education. This is important because education gives the coach a better understanding of both human psychology and human resources procedure, preparing her for specific situations that she will encounter. Someone with a Bachelor of Arts in Human Services Administration, for example, will be much better prepared to help you with your problems than someone without a relevant degree. You can also find information about the coach online. Find out if she has published any articles or books? Has she attended on conferences as a speaker? Don’t forget to make it very clear how much you are charged and what you will get for this. Some coaches charge hourly, others agree a fixed fee for a specific period. Ask for the length of the sessions as well. You should know that the average number of sessions required is ten, but it might be variable. The majority of coaches will charge you anywhere between £30 to £300 per hour but in the end you decide what is the amount you are willing to spend. Career coach will not find you a job but she will provide you with advice to make you confident about your skills. If you think you could benefit from a career coach, find one and you surely have no regrets.